ATN Channel 7. 1983. Producer: Phil Davis. LP (OP)	Hammard. HAM 108. 1984. 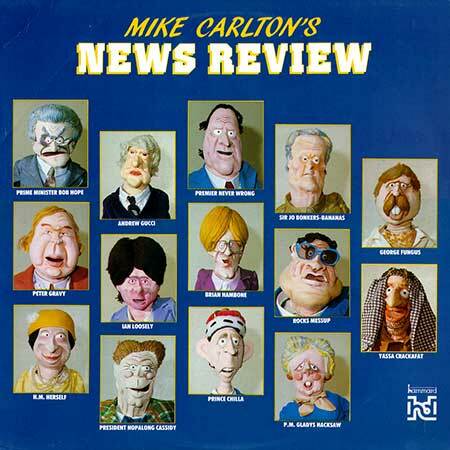 “MIKE CARLTON’S NEWS REVIEW”. Words, Music and Dance sequences by Mike Carlton. Research and Catering by Kerri Carlton. All AMCOS. Sport - Hawk Hawk Hawk and Hawk. Sport - The Fake Footy Team. 04: Taken By A Dingo? 06: Baby In Vitro - Fertilisation. No Disabled People In Russia. 04: Fact Finding Mission On Prostitution.